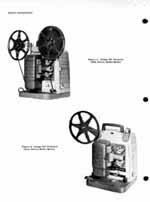 Bell & Howell 8mm Projector Model 253 Service and Parts Manual Discounts Apply ! 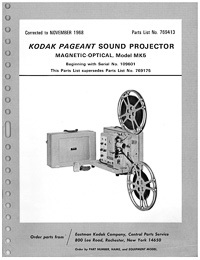 Excellent quality photocopy of the original 1958 Service Instructions and Parts Catalog for the Bell & Howell Design 253 Projector. 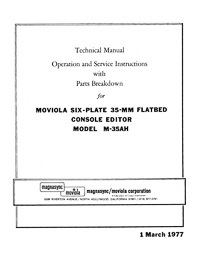 This manual covers models 253A, 253AR, 253AX, 253B, 253BRX, 253RX and 253RY. This 30 page manual is printed on double sided 8-1/2" x 11" heavy weight paper and it contains nine 11" x 17" parts list fold-outs just like the original. This manual has a card stock cover and is plastic comb bound so it will lay flat on the workbench. 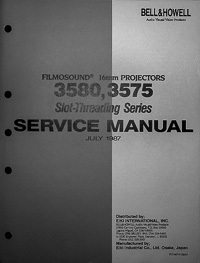 The heavily illustrated service manual contains sections on introduction, disassembly, reassembly and adjustments, final test and a complete troubleshooting chart.